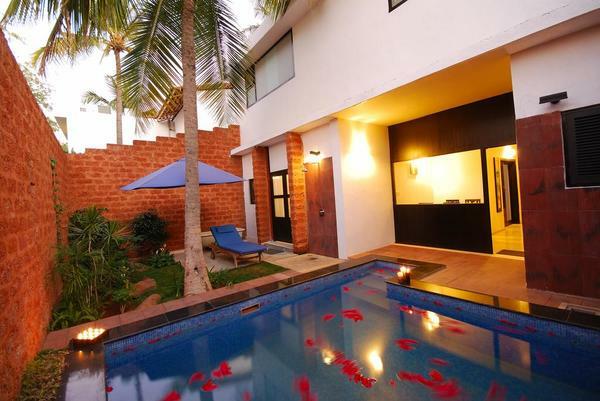 THE WINDFLOWER RESORTS AND SPA Maharanapratap Simha Road, Nazarbad,Mysore-570010. Karnataka, India. Check In 1:00 Noon & Check Out: 11.00 AM.Cancellation Policy (I)Cancellation Policy for bookings less than 5 Rooms -a) Confirmed dates /Days may be altered, cancelled or cut short only if intimation in writing reaches the company 7 days prior to the check in date.b) 7 days prior to C/in ÂÂ 25% of the Total Amount.c) 5 days prior to C/in 50% of the Total Amount.d) Less than 72 Hours Prior to C/in Ã¢ÂÂ 100% Retention. (II) Cancellation Policy for bookings of 05 Rooms & above -a) Confirmed dates /Days may be altered, cancelled or cut short only if intimation in writing reaches the company 15 days prior to the check in date (III) Any Cancellation of a confirmed booking will have a 10% Cancellation charge for all modes of payment and irrespective of the Date of Cancellation. Please note it may take a minimum of 30 working days to process refunds.Credit Card Bookings. In order to avoid credit card frauds, guests are requested to note the following: In case the booking is made using credit card, guests are requested to carry the following documents at the time of Check In: If the Credit card holder is the guest or one of the guests, then the credit card will have to be produced at the time of Check In.If the Credit Card holder is not one of the guests, then a copy of the credit card (both front and back), self-attested by the credit card holder should be produced at the time of Check In.In addition to this, it is also required to produce a letter, signed by the credit card holder, authorising the use of the credit card for the booking of the room. The letter should mention the names of the guests, date of travel, property and room type. This letter, along with the self-attested copy of the credit card will have to be submitted at Check In desk. At the time of submitting the credit card copy, please ensure that the CVV number on it is blacked out. (CVV Number is a three-digit number at the reverse side of the credit card, at the end of the signature panel).In case the above documents are not produced by the guests, Hotel reserves the right to deny the reservation. In such case no refund (except for the taxes) will be given to the guest. In case of erroneous / inadequate / misleading information given while booking , Hotel reserves the right to cancel the booking without any intimation.Guests are required to carry a vaild identity proof and produce the same at the checkin. Please being along with you the same identity proof you have entered while booking for verification at the hotel.Refund PolicyIn case of refund, bank transactions will be deducted above cancellation charges.In case of credit card transactions, refund will be done only to the same credit card.